Angelica Hale sings her cover of “Fight Song” on America’s Got Talent Champions on Monday, January 21, 2019. “You came here to win,” said Heidi. “You have an incredible voice,” said Mel B. “You are amongst champion. You show up and you ripped the ceiling of this stadium,” said Howie before pushing the Golden Buzzer. 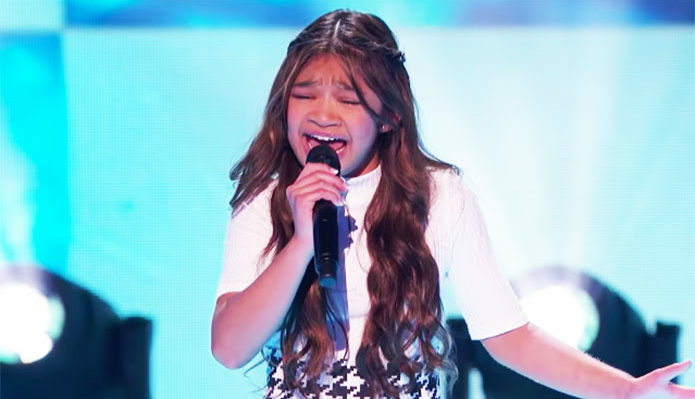 Angelica Hale is going straight through to the Finals. What can you say about Angelica Hale’s performance? Share your thoughts below.